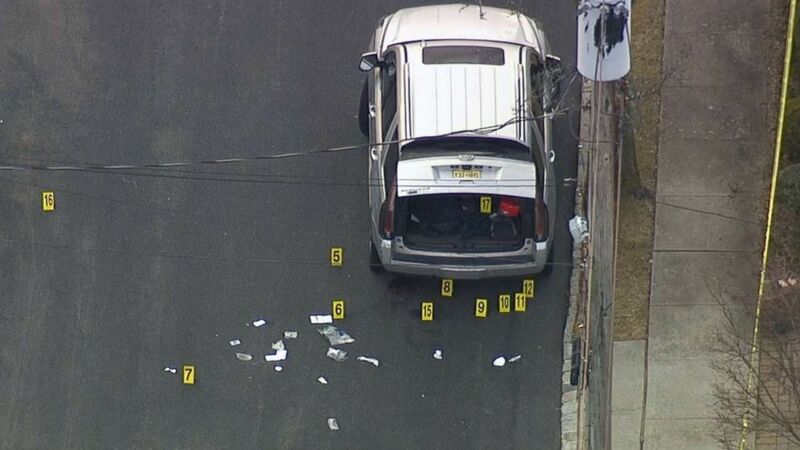 The purported head of the notorious Gambino crime family was killed. The suspected assassination of an alleged mob boss is raising questions about why he was targeted and the internal struggles in what — once — was one of the most powerful American mafia families. Francesco "Franky Boy" Cali was gunned down outside of his Staten Island home Wednesday evening in what experts view as "a true hit." "We’re back to the '90s," said Rich Frankel, a former FBI special agent in charge of the criminal division in New York and current ABC News contributor. "We haven’t had a hit like this in at least 30 years." Robert Boyce, the former New York Police Department chief of detectives who is now an ABC News contributor, said that Cali was a protégé of John "Jackie the Nose" D'Amico — a former prominent figure in the Gambino family. "He’s an interesting man because he came up in the organization without many arrests," Boyce said of Cali. "This guy was really good. He kept a low profile," Boyce said. (Brendan McDermid/Reuters) New York City Police officer is seen at the scene where reported New York Mafia Gambino family crime boss, Francesco "Franky Boy" Cali, was killed outside his home in the Staten Island borough of New York, March 14, 2019. Boyce said Cali’s wife "is steeped in mafia family — [they] both are." 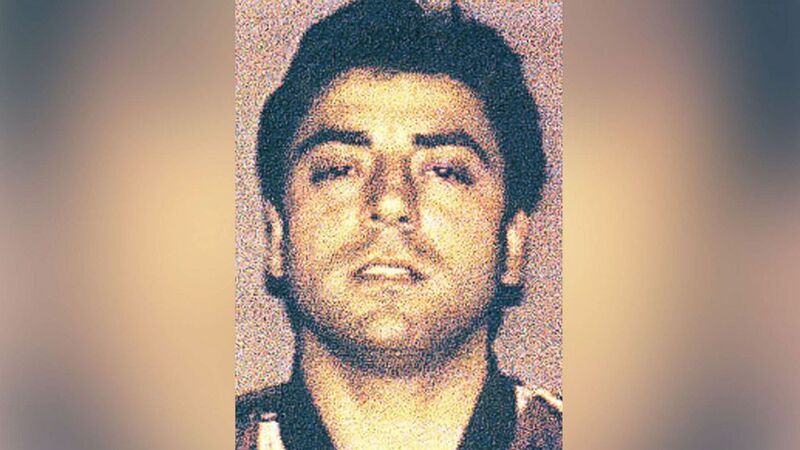 In New York City, there are five prominent families — Bonanno, Colombo, Gambino, Genovese and Luchese — that make up La Cosa Nostra, which the FBI describes as an "alliance of criminals." 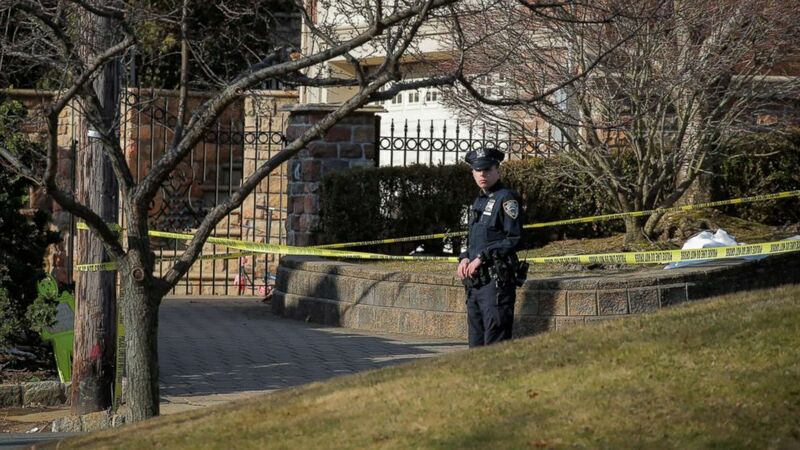 (Brendan McDermid/Reuters) New York City Police officers investigate the scene where reported New York Mafia Gambino family crime boss, Francesco "Franky Boy" Cali, was killed outside his home in the Staten Island borough of New York, March 14, 2019. "The 'Five Families' are not what they were, especially the Gambinos," said Boyce, adding, that the Gambino’s "profile in New York has been significantly reduced since John Gotti." "Most of the heroin in this country comes from Mexico now — not from the mid-east, which the mob once controlled," Boyce said. "If a senior guy gets hit and if it's not a sanctioned hit, it's bad news for somebody," Cantamessa told ABC News. 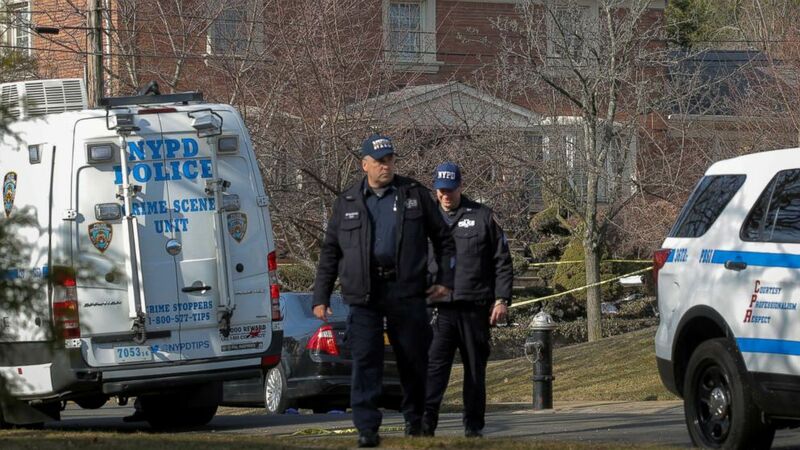 (WABC) New York City Police investigate scene on Staten Island where reputed Gambino crime family boss Francesco "Frankie Boy" Cali was gunned down outside his house on March 13, 2019. "You’ve got to get permission to take out a 'made' member, somebody who's actually a member of a family," he said, noting that Cali fit that bill. "If anybody within the family or in a rival family steps outside the bounds then there would be consequences. It's all about permissions: nobody does anything to a made member without permission." Frankel, who was an agent on the FBI's Gambino squad in the late 1990s, said that whatever prompted Cali to step outside is going to be critical to the investigation. "That’s a great piece of evidence, because whoever made that [call or text], unless it was a spoof [where the number is distorted], that's the person who drew him out," said Frankel, who now works as a contributor for ABC News. "Because of the way he was shot and who he is — he’s a high ranking member of the Gambino family, he was shot 10 times on the street — it wasn't something that was hidden. Someone was definitely trying to say 'Franky’s dead and he deserved to die.' That’s the way I'm taking it," Frankel said. "Are they hitting him because he did something or are they hitting him to get rid of him? Did he go somewhere he shouldn't have gone? Did he go outside his crew or his family and cause trouble with another family?" Frankel said. "This was probably a schism within this family, because that’s what history tells us," Boyce said, referencing the Gotti hit on Castellano. Specifically, Boyce suggested that "old time mobsters, and 'Franky' Cali was brought up like an old school mobster" who value loyalty from family and people they can trust. That led Boyce to posit that Cali’s ties to the Sicilian mob through his wife could have led to him bringing in new crew members from Sicily. "Is he bringing outsiders into the organization? Is there resentment that comes up from that?" Boyce said.